Thank you to everyone who played along for the Beautiful Elements Book-Along! I loved seeing your creations. Remember, their is no deadline on creativity so if you create something inspired by the book please share it us in myHumblebeads VIP Party Facebook group! A big congratulations to the grand prize winner Barbara Bellatti! 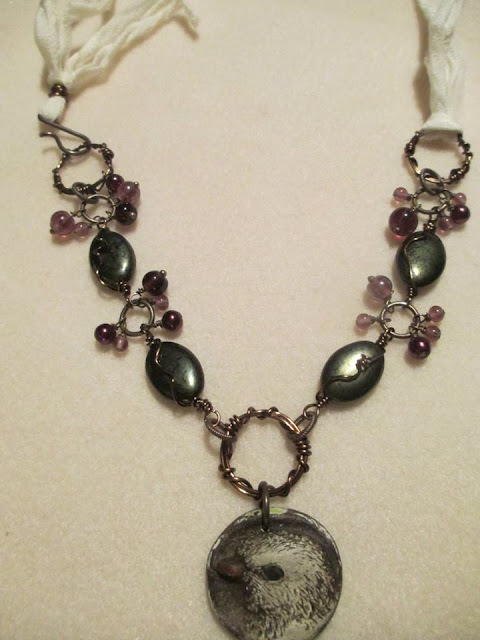 Barbara was randomly choose from all the entries and has won a $100 gift certificate to Humblebeads.com. 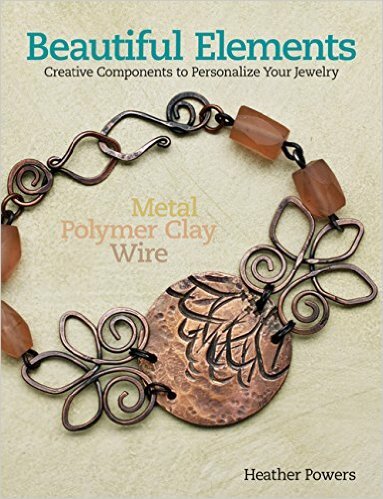 Barbara was inspired by the steel wire metal sketch technique and created an abstract design for her copper earrings. Reminds me of twigs on a forest floor. The second place winner is Melanie Swope. Congrats to Melanie who has won a $50 gift certificate to Humblebeads.com. 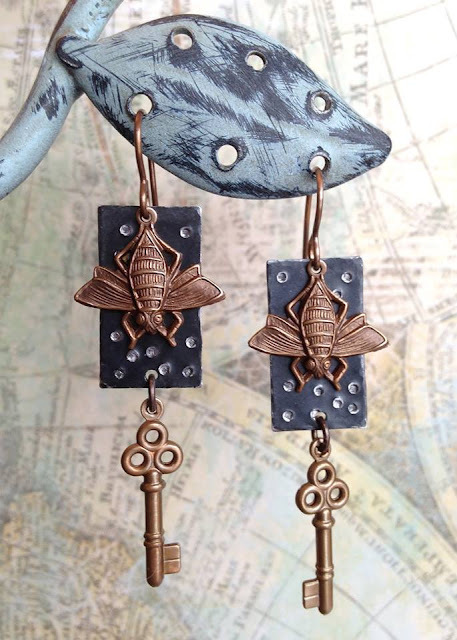 She was inspired by the wire wreaths in the book and used them as connectors on her necklace, which happens to feature a Humblebeads Sparrow Pendant! Next up are a few who played along and I wanted to share their work. 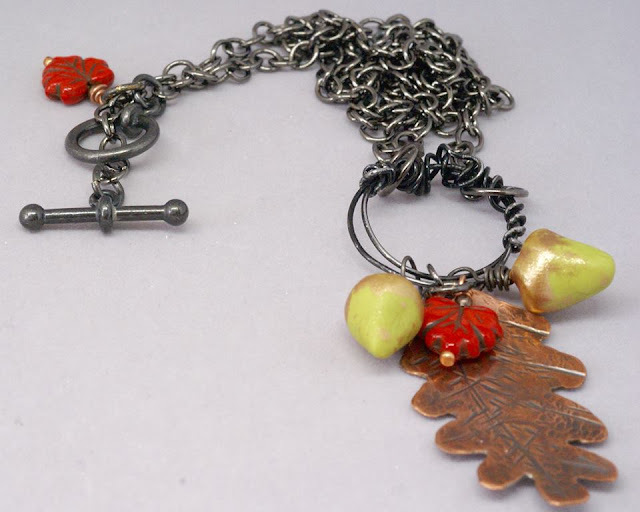 I featured Kathy Lindemer on an early post but here we see her completed necklace featuring her acorn headpins, oak leaf pendant and wire wreaths. 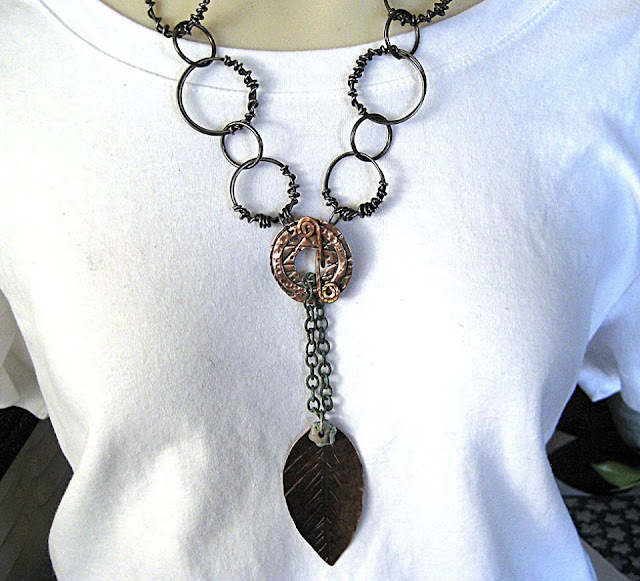 My friend Mary Harding had fun creating wire wreaths as part of her chain for this necklace that features a copper leaf from the book and one her amazing copper toggle and one of her ceramic beads. 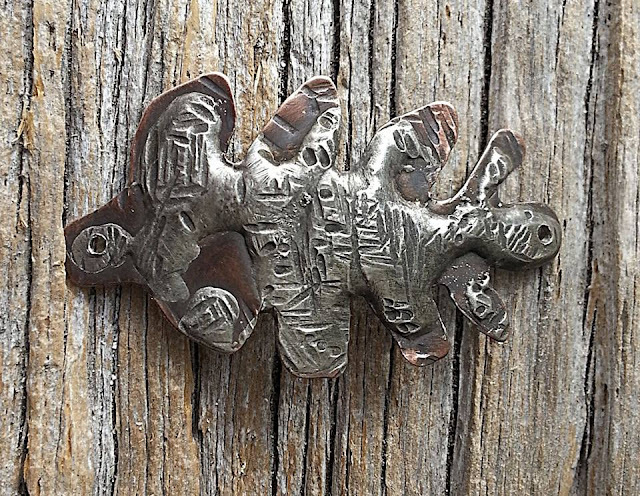 Mary also had fun putting her spin on the oak leaf connector in the book with a metal texture. OH, Mary, this is speaking my language. 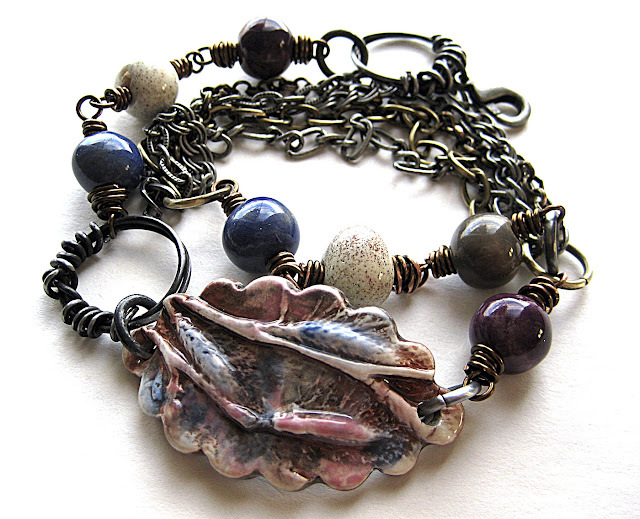 Mary also used one her wire wreaths in this gorgeous wrapped bracelet that was featured on the Art Bead Scene this week. Love it! 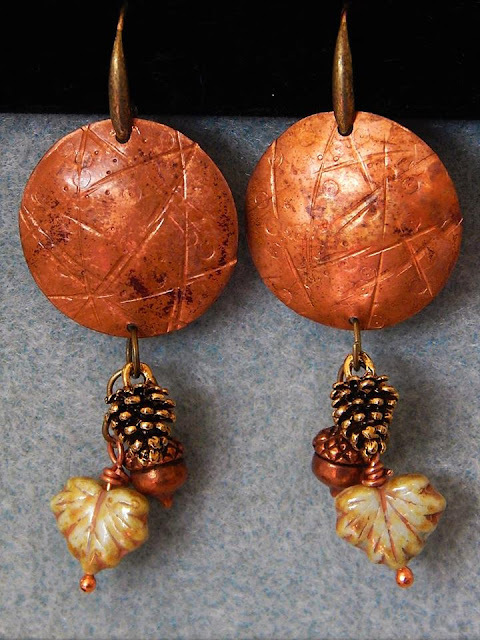 Sarajo Wentling, who excels at earring production - whipped up these cuties for another challenge but happened to use a technique in the book to create the dotted texture. Have you ordered your copy of Beautiful Elements yet?